Cream Clarita Lace Skirt 10603732. 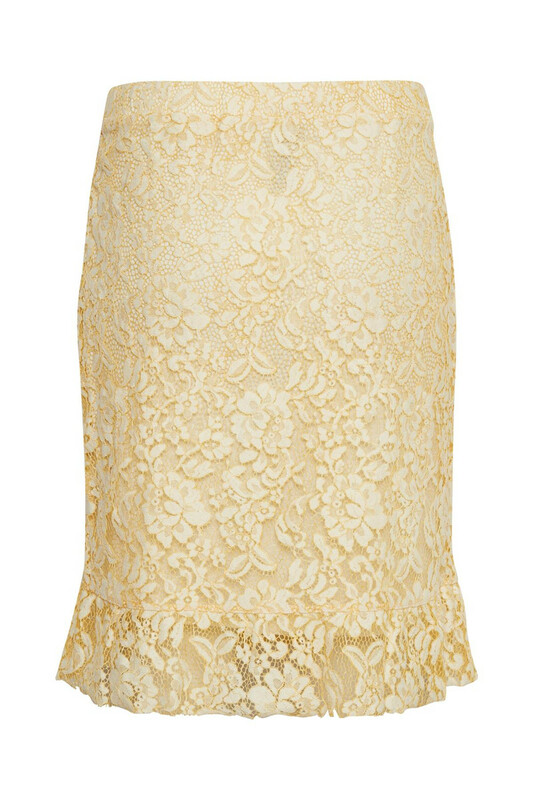 Cream skirt in all-over yellow lace, white lining, elasticated waist and decorative details on the lower section. 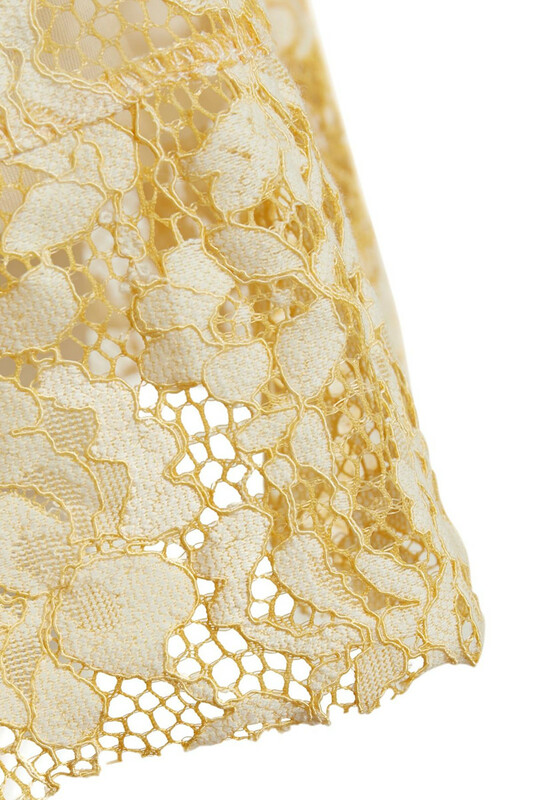 The skirt is knee-length and goes perfectly with the Clarita Lace top as a cool set. 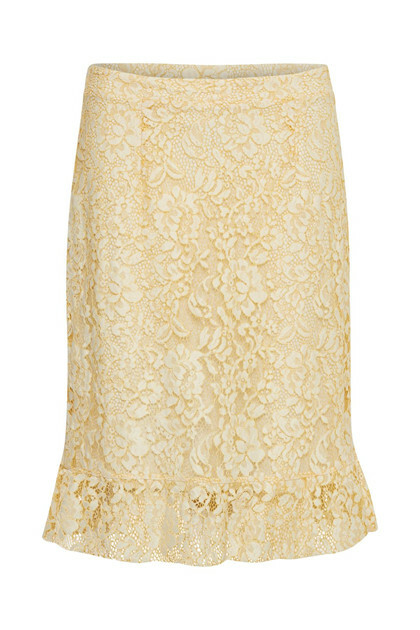 Or team the skirt with a basic top.